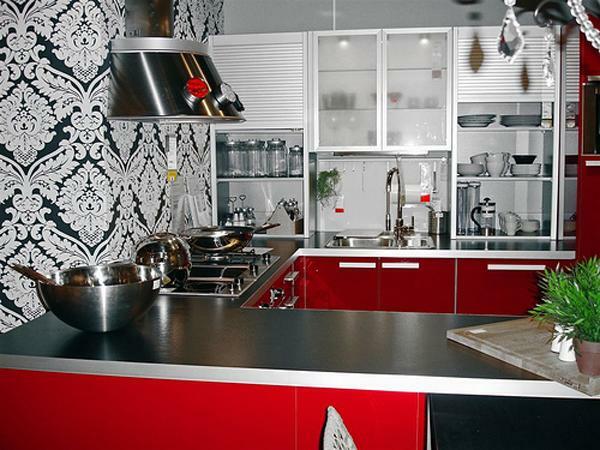 Red color is a powerful color choice that can bring a dynamic vibe into kitchen design and decorating. 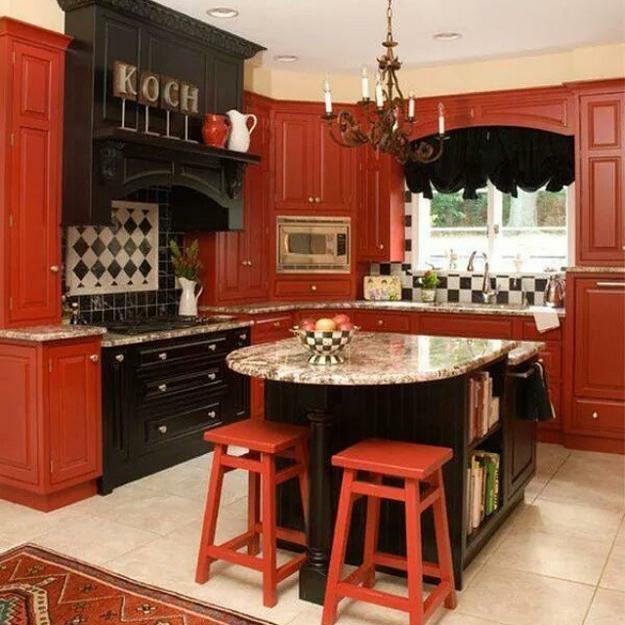 Red kitchen cabinets or small kitchen decor accessories in red colors are fantastic ideas for creating energetic, bold and spectacular kitchen design. 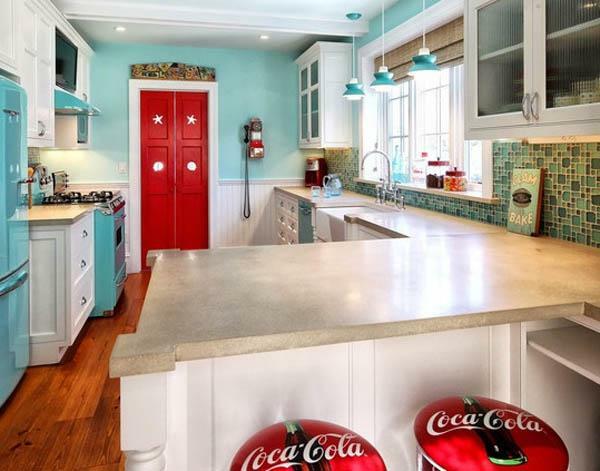 Lushome shares 10 useful tips to bring energy into your kitchen design and decorating with red colors. 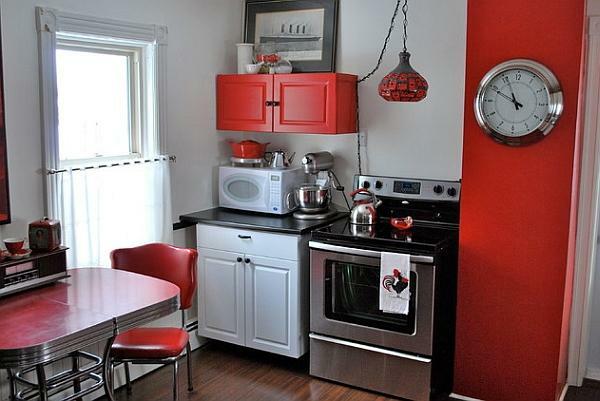 Red kitchen decor looks unusual, bright and modern. 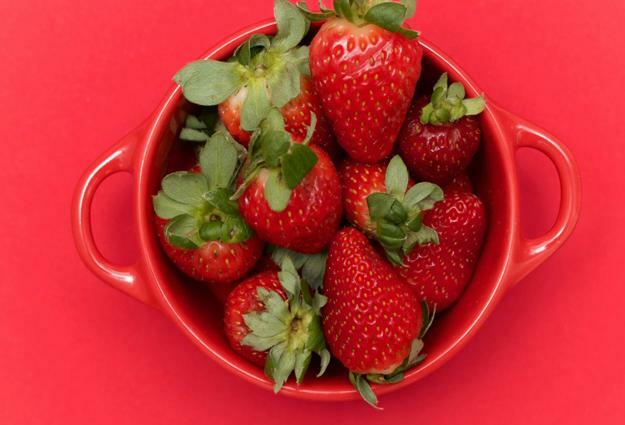 Red colors are associated with juicy fruits and vegetables, fire and holiday festive atmosphere. 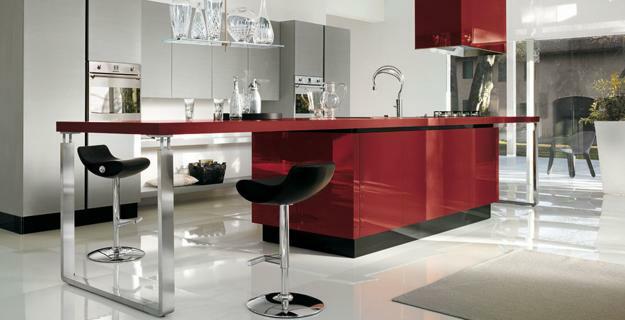 Dynamic and powerful, red colors are a unique, stunning and modern color design choice for modern kitchens. Using red colors with other neutral color tones and complimenting shades allow to create different mood in your kitchen and decorate modern kitchen interiors in style. 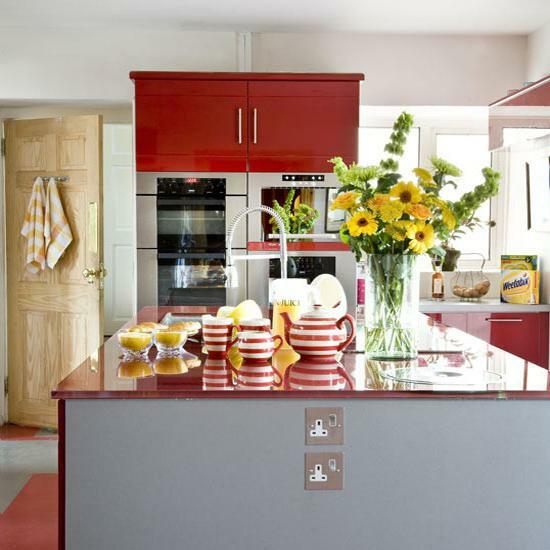 Here are 10 exciting ways to make modern kitchen design and decorating feel dynamic, energetic and original with red colors. 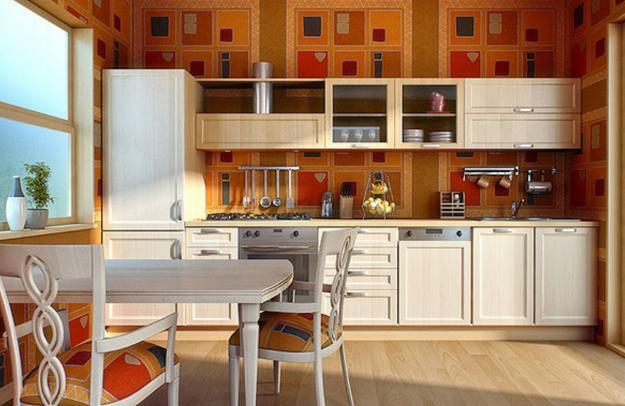 Lushome collection of kitchen designs include retro modern kitchens and contemporary kitchen interiors and demonstrate how to use red colors for traditional kitchen decor or interior decorating in vintage style. Here are beautiful kitchen interiors designed by Nolte Kitchen, Snaidero, Kicheconcept, Mobalpa, KBBC, Errebie Spa, Pedini, Alva, Style Coupe, Lidermebel, Kitchen Yard, Mebelti and other kitchen manufacturers that like red colors. 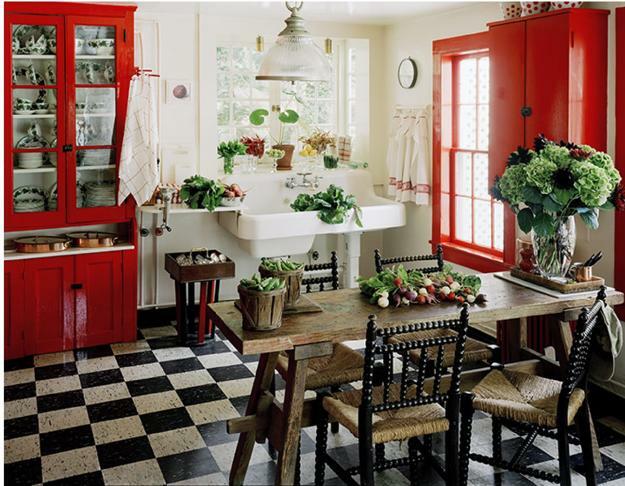 Red kitchen decor, inspired by juicy strawberries, tomatoes and and red apples is bold and beautiful. Modern kitchen design and decor in gorgeous red color is a celebration of natural vibrancy and charming beauty of red hibiscus flowers. 1. 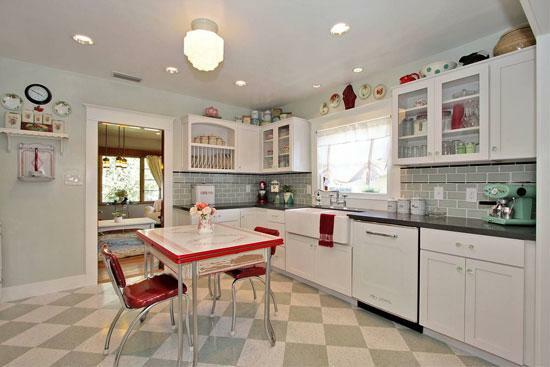 Retro modern kitchen design and decorating with accents in red color allow to create nostalgic interiors that remind of fun 50s and 60s. 2. 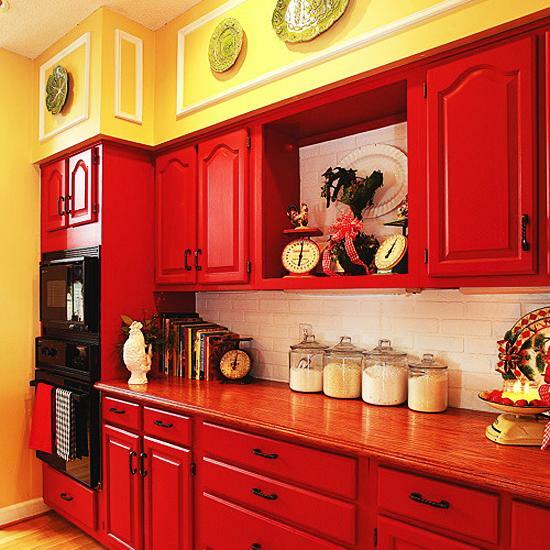 Red colors for kitchen cabinets and wall painting. 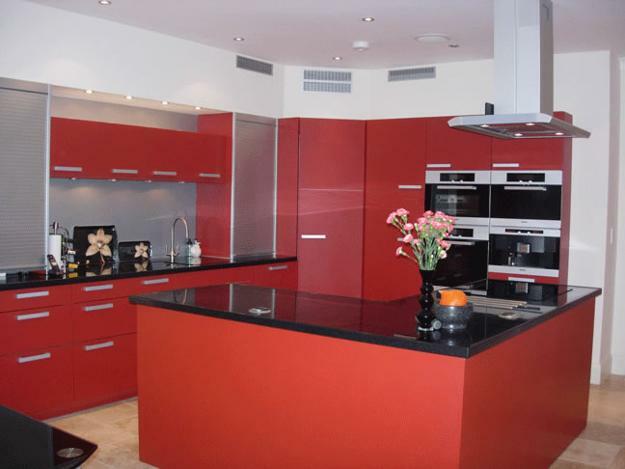 Large surfaces painted red look spectacular and attract the attention. 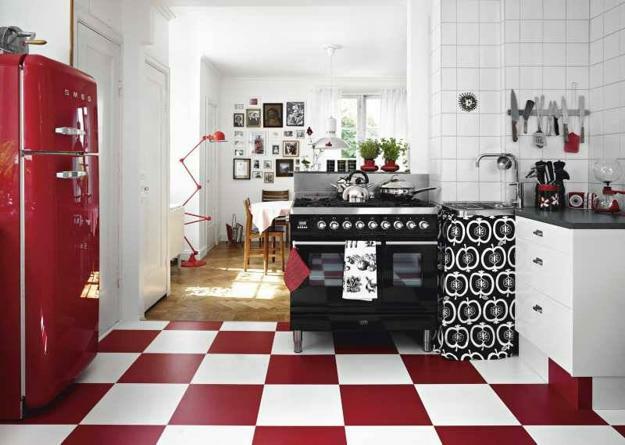 Combined with other colors, red color schemes are excellent for original and striking kitchen design. 3. 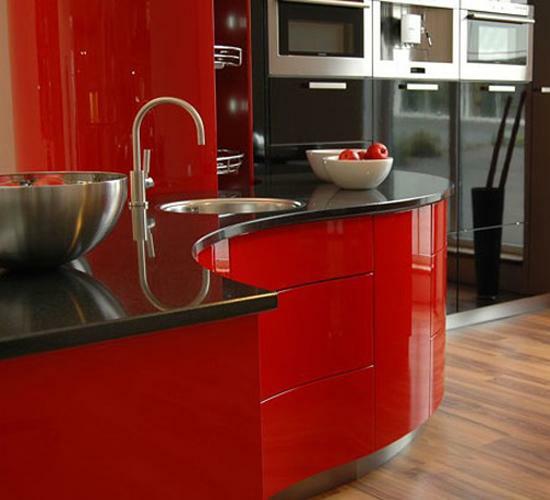 Red kitchen countertops is another great way to celebrate red colors in your modern kitchen. 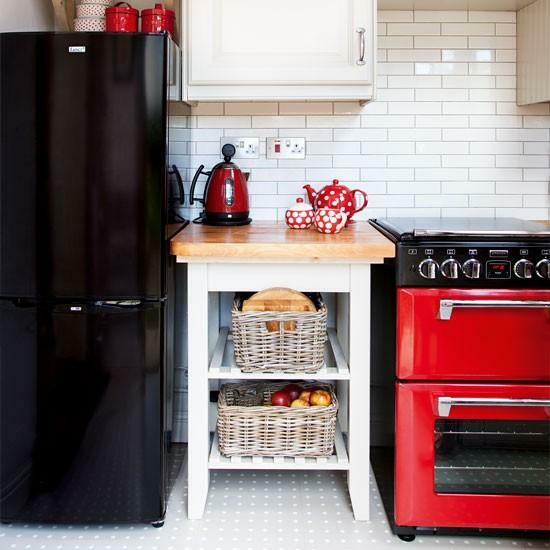 Even small kitchen design can have red kitchen countertops. 4. 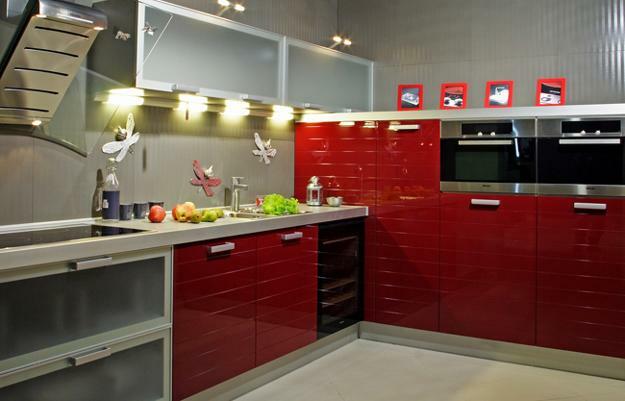 Lower kitchen cabinets in red color, combined with light kitchen cabinets on the walls look beautiful in any style. 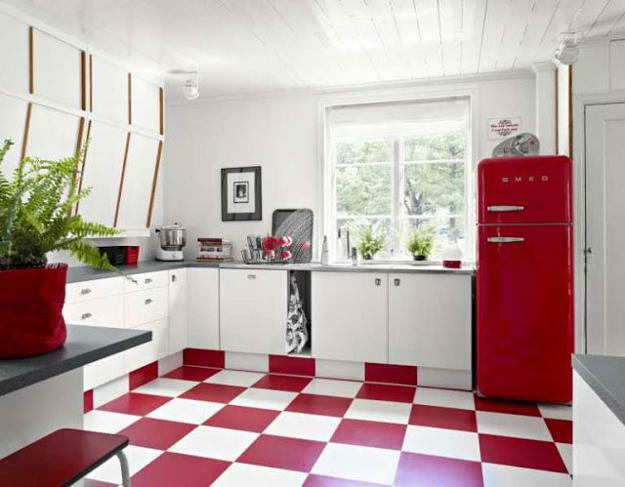 This kitchen design look lighter while featuring bright red color. 5. Small kitchen elements in red colors, artworks, wall decorations, handles or kitchen utensils in red color are a nice way to add dynamic character to any modern kitchen design and decorating. 6. 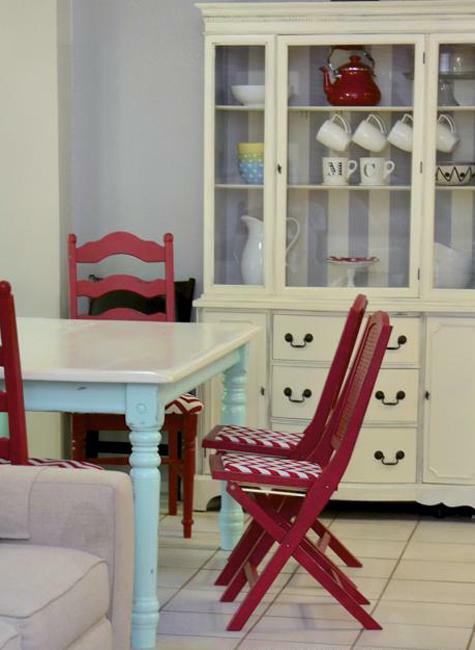 Decoration patterns in red colors, digital photo prints and dining furniture upholstery fabrics are great for bringing life into kitchen interiors in neutral colors. 7. 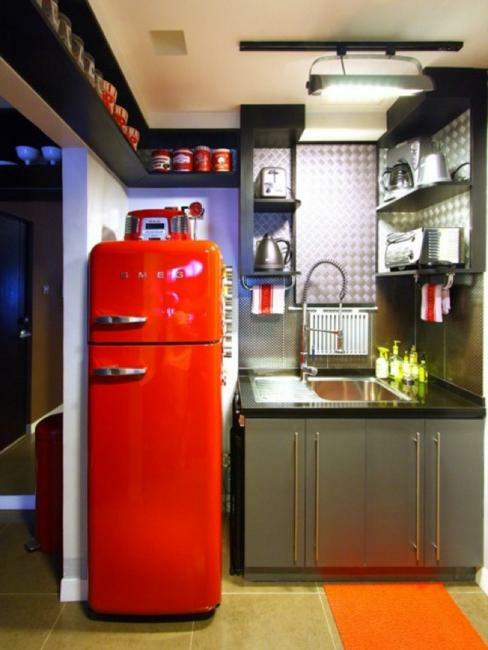 Elements in industrial style can add accents in red colors to modern kitchen designs. Glass tiles and metal parts painted red color are good ideas for all who appreciate the industrial style in super modern interior design and decorating. 8. 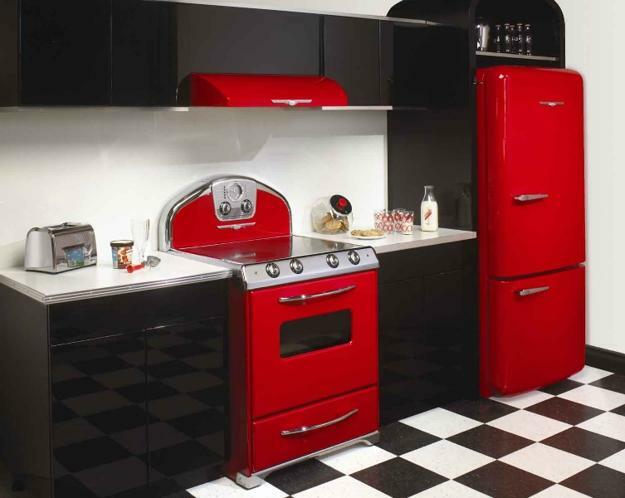 Color combinations of red and black kitchen colors look especially dramatic and powerful. Black gives modern kitchen interiors a touch of luxury and glamor. 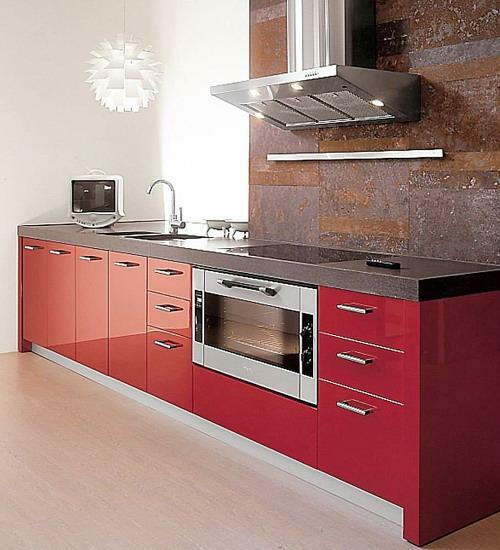 Red colors bring passion and striking energy into modern kitchen design and decor. 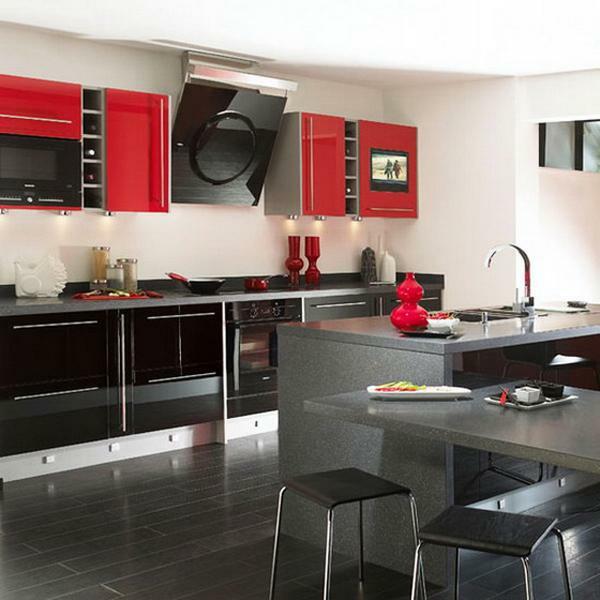 Kitchen cabinets, tableware, kitchen appliances or floor and wall tile designs can be selected in black and red colors to add chic to modern kitchen design and decorating. 9. 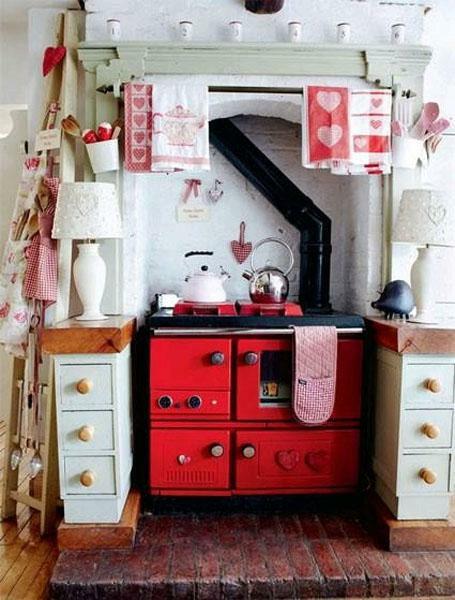 The entire kitchen in red color looks amazing and impressive. 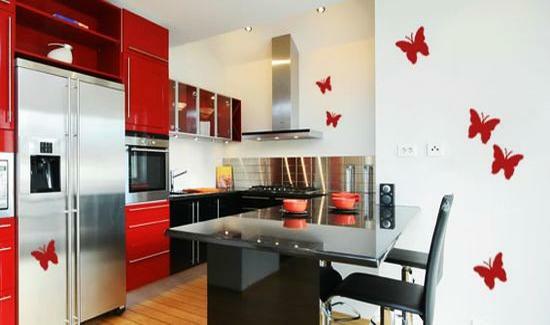 True fans of red colors may like such fantastic, bold and modern kitchen design. 10. 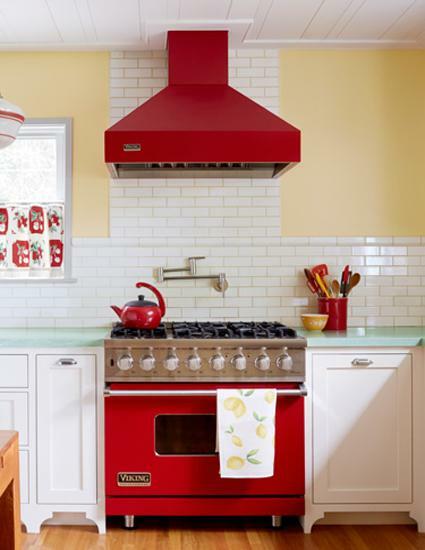 Modern kitchen appliances in red colors are an easy and stylish way to personalize any kitchen decor, giving a new life to dull, lacking interest kitchen interiors and spicing up neutral kitchen colors.